Redmond Home Inspections is Windsor and Essex Counties Premier Home Inspection Company, locally owned, operated, and committed to providing residents with the reliable and thorough inspection services they deserve. When you are ready to make the significant decision to buy or sell your home, you need a certified professional who can guarantee that your home is Inspected once, Inspected right! To ensure you receive the most comprehensive inspection the industry has to offer, we utilize advanced equipment and technology to provide our customers with a full range of inspection services. 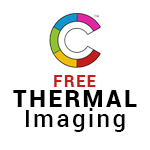 We enhance our home inspections with cutting-edge tools, including Thermal Imaging, Electrical testers, Moisture meters, a Spectroscope and many more. No matter the size of the space, from roofline to basement and beyond, Redmond Home Inspections has you covered. Each Certified Inspection is accompanied by our digital, detailed inspection report, available within hours of your inspection. This report features plenty of high-resolution photographs and videos as well as straightforward descriptions of issues needing to be addressed. It also features the convenience of a patented Create Request List (CRL), powered by HomeGauge’s industry-leading software. 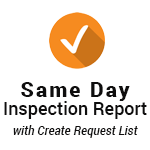 The CRL makes life easier for you and your realtor by allowing you to upload inspection recommendations into an interactive list to be attached to your repair addendum. Protect your peace of mind while saving time and money during the real estate negotiation process. Redmond Home Inspections proudly serves Windsor and Essex Counties, including the communities of Windsor, LaSalle, Tecumseh, Essex, Cottom, Kingsville, Leamington, Wheatley, Belle River, Harrow, Lakeshore, Stoney Point, Amherstburg, Comber, Colchester, Ruthven, South Woodslee, Saint Joachim, McGregor, Boblo Island, River Canard, Saint Clair Beach, Puce, Emeryville, Lighthouse Cove, Maidstone, Chatham and Tilbury.